All summer we have been watching a beautiful "writing spider" weave her web on the side of our house. Of course we named her Charlotte. Every morning, Charlotte re-wove her web and created the distinctive weaving in the middle where she sat waiting for insects of any size to stumble into her trap. She devoured them all. In the book Charlotte's Web by E.B. White, Wilbur is horrified by the bloodthirsty nature of his friend. 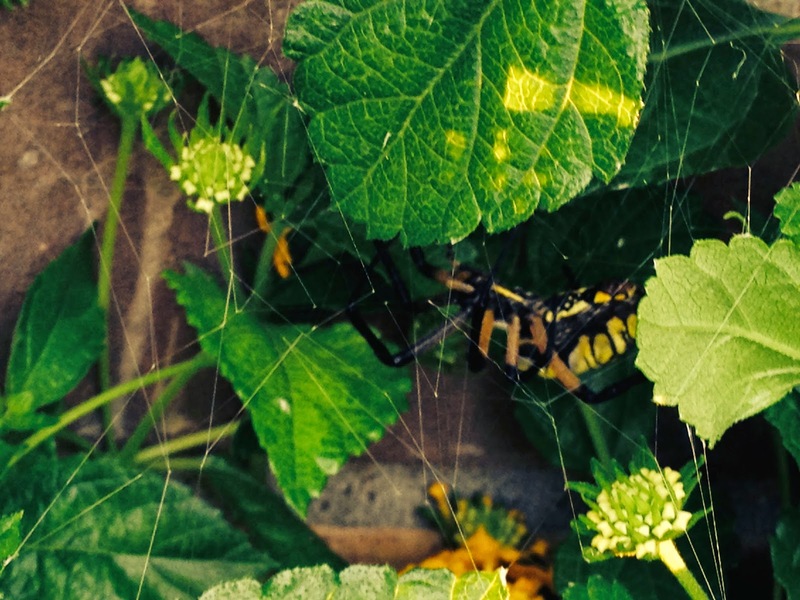 Charlotte replied that if it weren't for spiders, the world would be overrun by insects. We are thankful to Charlotte that she killed her fair share of flies. During the summer, we posted pictures of Charlotte and watched her grow to what seemed an enormous size. Our nieces and nephews kept track of her growth, and marveled at her beauty and excellent writing skills. We knew that when the days of summer came to an end, it would be time for Charlotte to create her egg sac and she would die. This morning, I went outside to check on her progress. Her web was torn and ratty. This was the end, the day we had been dreading, but the one she had been waiting for all her short life. Looking here and there (where would a spider put an egg sac?? ), I finally spotted the little spider and her beautiful creation. The egg sac was larger than she was, and beautifully round. Within that sac are her children, her legacy, and they will hatch in the spring. I thought of the words of Charlotte in the book: "It's my magnum opus." 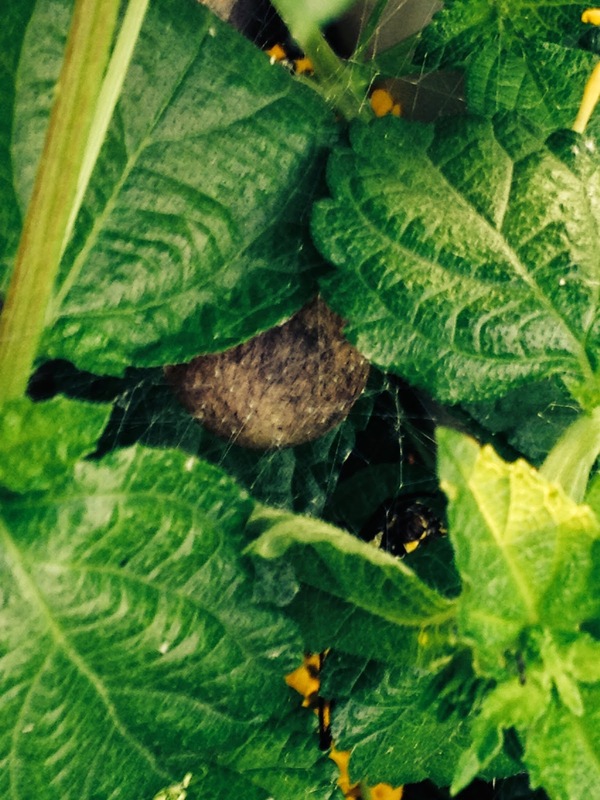 Charlotte, now shrunken to half her size, slowly finished securing the egg sac to the plants. At last she lay still. Unlike the Charlotte in E.B White's book, I was with her when she died. "Thank you," I whispered. "Your egg sac is magnificent." Sometime in the spring, if we are fortunate, a couple of Charlotte's children will make their home in the flowering bush Charlotte claimed this summer. Life is brief. We are all building our "magnum opus."